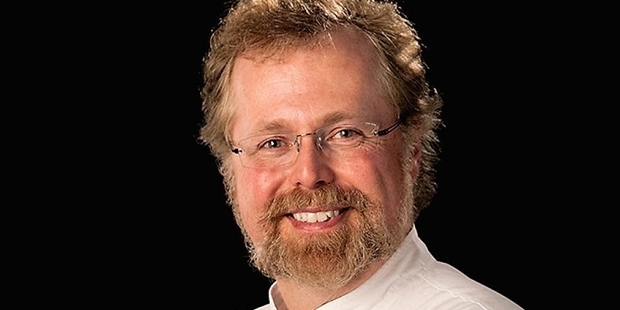 “Technological revolutions don’t really overthrow anything- they simply append a new and dynamic market, to that which went before” – Nathan Myhrvold.Few innovators like Nathan can only deign to integrate technology with culinary world.Nathan Paul Myhrvold was born in Seattle, Washington on August 3, 1959. The tycoon worked as the Chief Technology officer at Microsoft and is the chief author of the Modernist Cuisine and the co- founder of the Intellectual Ventures today. He was not only inferred with the James Beard Award for Cookbook of the year in 2012 but also won the James Beard Award for cooking from a professional point of view the very same year. This admired personality is known to revolutionalise cooking by introducing a new concept called the cooking lab. 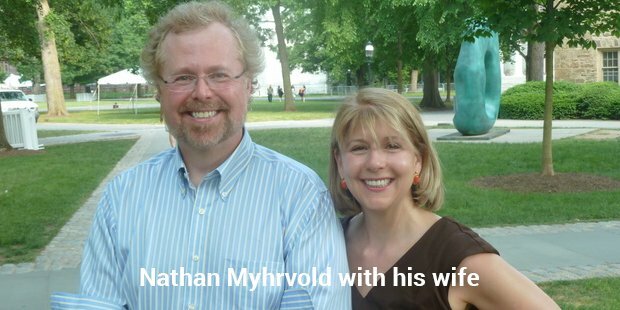 Nathan Myhrvold, co-author of the Modernest Cuisine and the founder of the Cooking Lab possessed an immense passion for photography, cooking, and science since his early childhood. When Nathan was just 13, he was adulated for cooking appetizing family Thanksgiving feast. His interests and hobbies kept on escalating day by day, every day for him was dedicated to a new launch and a better innovation. Most of his time was dedicated to engrossing new cookbooks and inventing new cameras. Nathan pursued a Bachelor’s degree in Mathematics and a masters degree in space physics and geophysics from the University of California, Los Angeles. He also earned a doctorate degree in mathematical and theoretical physics and an additional master’s degree in economics from Princeton University. Nathan also took up postdoctoral work with Stephen Hawking and researched quantum field theory in curved space-time, cosmology, quantum theory of gravitation from Cambridge University. Apart from this, Nathan pursued culinary diploma too from École de Cuisine La Varenne in France. While Nathan was working as a chief technology officer at Microsoft, he served as a stagier at Chief Thierry Rautureau’s restaurant Rover’s in Seattle. 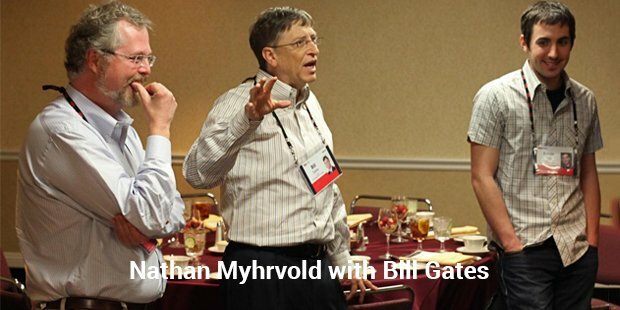 After retiring from Microsoft in the year 1999, Nathan found the “Intellectual Ventures” and started dedicating ample time to his interests, food science, cooking, and photography. By this time, few of Nathan’s photographs were seen gaining massive esteem on America 24/7 and Washington 24/7.Nathan always desired to write a food science Cookbook that would encompass the history of cooking, techniques, and equipment mandatory for cooking, the scientific layout of the process and related recipes. As a result, Nathan very soon published a 2438- page book in the year 2011 named “Modernist Cuisine: The Art and Science of Cooking” and then the “Modernist Cuisine at Home” in the year 2012.